That kind of thinking may be a surprise to most visitors, who expect a dude ranch to require a full week-long stay; after all, that has long been the tradition and is still the preferred way to go at most guest ranches. But Dahl believes the shorter stays also really help guests, giving them as an easy, low-comittment introduction to the guest ranch experience, and more options. “They get the flavor of the experience, without having to take the full plunge,” Dahl notes. “We allow guests to arrive and depart any day of the week, too,” Dahl adds. “We have to be flexible and organized,” she says with a laugh, “but guest really love that added option.” It helps that the ranch is in Roundup, just an hour from Billings, Montana, and its airport. “A lot of international travelers can’t take a full week to stay at a dude ranch, so allowing the shorter stays let’s them get a taste of the ranch life, as well,” Dahl says. They take a limited number of guests, to assure that their quality level stays high and each guest has a wonderful experience. When space is available, they also invite travel writers to stay, as one more way to get the word out about the fun and relaxation guests can have on a dude ranch vacation. We like your thinking, Jody Dahl! 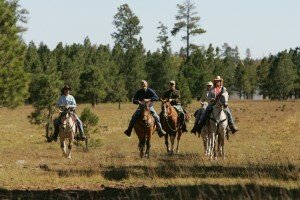 More ranches: These are just a few that offer stays of less than a week (usually 2-3 nights). But be sure to ask other ranches what their stay length policies are, or do a search on the Ranchweb site. In Colorado, just west of Gunnison, the scenic Powderhorn Guest Ranch offers 3-night minimum stays throughout the season. Just outside the city limits of Tucson, the classic (and classy) Tanque Verde Ranch offers stays of 3 nights (or fewer, sometimes) as space is available. And in Idaho, adjacent to the wild Snake River, the Indian Creek Guest Ranch offers 5-night minimum stay during peak season and a 3-night stay during off season. You hear a lot of talk these days about special, eco-friendly trips, but that’s nothing new at a guest ranch. They’ve been ‘eco-friendly’ since before ‘eco’ was cool. Many ranchers have been wise stewards of their land for many generations, and so they have become experts on being environmentally conscious. This year, the idea of getting ‘back to nature’ holds more appeal than ever. Who doesn’t want to flee the noise, traffic, and (dare we say) germs of the crowded cityscape and escape back to nature? 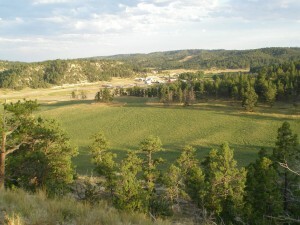 Someplace clean, quite, healthful and restorative…like a guest ranch. You can practically pick your own favorite slice of nature and find a ranch that goes with it. Want the Cariboo region of Canada’s British Columbia? 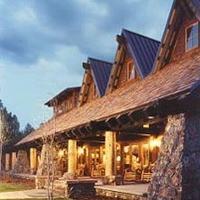 Then Echo Valley Ranch and Spa is one to consider. Perhaps you’re dreaming of a Southwest landscape where you can soak up the warm desert days and cool nights, tucked in a grove of Arizona oak trees in the Chiricahua Mountains; then Grapevine Canyon Ranch (near Pearce, AZ) is your spot. Or maybe the mighty Rockies call to you, beckoning with their pristine air, sunny days, and pine-scented forests; then your choices range widely, from spots like the Teton Ridge Ranch (in Tetonia, Idaho), to Averill’s Ranch/Flathead Lake Lodge (Bigfork, Montana; shown above), to the historic Eaton’s Ranch in Wyoming. 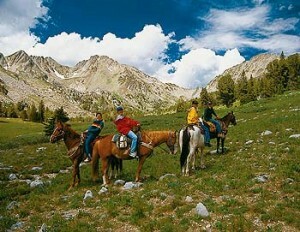 At all of these ranches, you’re guaranteed to get in touch with the land, as the wranglers do on a daily basis. Many guest ranches have staff naturalists on hand to guide you on nature walks, where you (and the kids) will more on a short walk than they could all day in a classroom. Wildlife watching (or learning about animal tracks) can be a daily activity on a ranch vacation, along with hiking, fishing wild streams and rivers, and even nature photography. Ranches in the Southwest and Southeast have different weather, landscapes, and animals than those in the Far West and Northwest; and that goes double for ranches in Canada and South America. So, depending on where you’re from, there’s probably going to be many different aspects of nature to explore at a ranch versus what you’d find in your backyard. But one thing remains constant at every guest ranch: the caring for and knowledge about nature the ranch owners and their staff want to share with you. 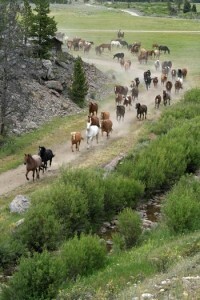 Editor’s note: this is part of a continuing series, Americans need a dude ranch vacation NOW.